This simple but elegant carved and sandblasted High-Density-Urethane (HDU) hotel wayfinding sign has raised text and border, and a sandblasted background with sandstone texture. After artist painting of text and symbols, the sign is clear-coated twice for additional weather and UV protection. 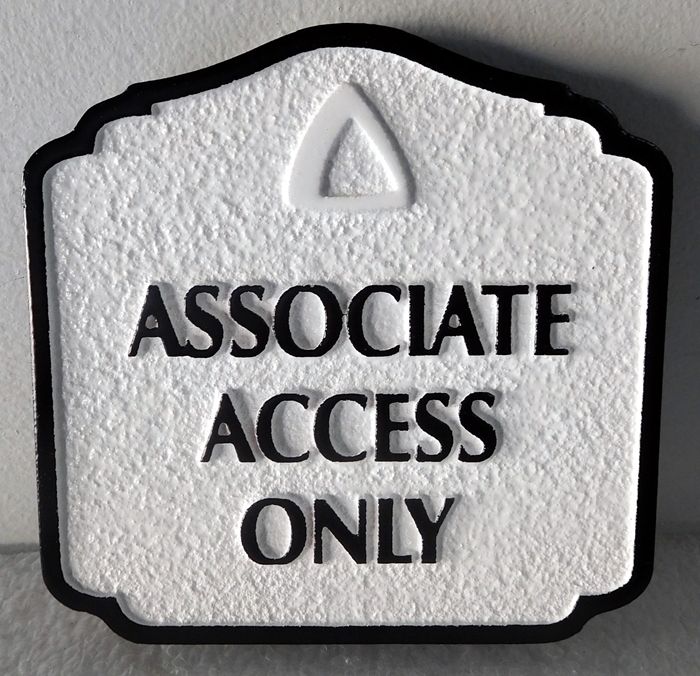 The sign can be mounted on a wall , on a post, or between two posts.